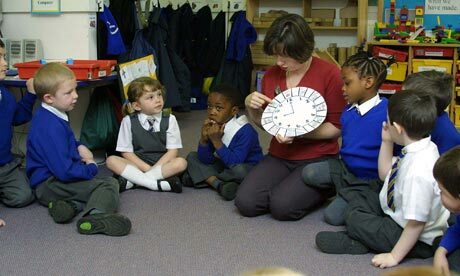 More concerns are being raised about the academising of primary schools against their will. It appears that not only are schools being forced into becoming academies there is also a complete lack of transparency over the selection of the provider. Parents at a popular primary school threatened with takeover by an academy chain have labelled a promised consultation a farce after the main questionnaire failed to even ask them if they wanted the school to change status. A group of parents battling plans to remove Roke primary in Croydon, south London from local authority control have also released a transcript of a meeting in which a Department for Education “broker” told them she believed the school was failing based largely on a half-hour tour during which she thought the children looked “bored”. The row over the DfE’s apparent desire to push the primary into the control of the Harris Federation, against the wishes of governors, staff and seemingly the majority of parents, appears to run counter to Michael Gove’s belief that academies are more responsive to local needs. The DfE has faced parental anger elsewhere, notably over Downhills primary schoolsin Haringey, north London, which Gove made part of Harris last year despite 94% of parents telling a consultation they opposed it. The significance with Roke is that it has no long history of under-performance, supposedly the only reason for forced conversion. Roke was targeted after Ofsted assessed it as “inadequate” in May. Governors and parents, however, said this was a one-off blip caused largely by computer problems which meant inspectors could not view data. Subsequent inspections found the problems had been largely rectified. The DfE promised a consultation, albeit one run directly by Harris, set up by the Carpetright millionaire Lord Harris. This turned out to involve a questionnaire which only asked whether, when it became an academy, Roke should be sponsored by Harris, not if parents wanted an academy at all. At a public meeting last week attended by Harris and some of his senior staff, parents were told the DfE had instructed the chain to redraft the questionnaire. But parents remain suspicious. At the same meeting some parents were angered when the “broker”, a freelance contractor hired by the DfE to work with converter academies, described how she decided Roke needed help. Val McGregor said she had spent “about 20 minutes, half an hour” touring the school before meeting senior staff and governors, concluding pupils were bored and “not doing as well as we had hoped”. The meeting was also addressed by Dan Moynihan, chief executive of the Harris Federation, who was knighted last year. At another consultation meeting last week, parents said, Moynihan spent half the hour-long event making a phone call. One parent challenged Moynihan afterwards for this perceived rudeness. A Harris Federation spokeswoman said the final decision on Roke would be made by Michael Gove, not them. Michael Rosen’s latest letter to Michael Gove: Once again he asks the questions we all want to raise and says what many in the education system are already thinking. Well worth a read. I had no idea that it was your job to tell the select committee what they should be doing. Isn’t the idea of you telling others about how their “own energies might be directed” laughable? I’ve been in several parts of the country that are reeling from the chaos of your top-down transformation of the structure of education. As was predicted, an academy can fail an Ofsted inspection. The problem is that you seem to think that turning a school into an academy is a cure and, following from that, you don’t seem to have imagined a scenario in which the cure could fail or that the cure itself might ever need curing. So what happens when an academy fails? Presumably, as your “energies” are “directed” towards this by the red light flashing on the map in your office, you as sole commander of Academy England issue instructions: “Switch sponsors! Chuck out AET, bring in Harris! Hang on, I sent Harris to that other place. How about a superhead? Any superheads around? No? Why not? No one wants to apply for the job? Tell the head in the next-door school, she’s got to do the job or she’s out on her ear. Federate! Meanwhile, out there beyond the walls of your office, I can tell you that people are seriously confused about the fact that there isn’t just one kind of academy – there appear to be several different kinds. I only have nine years of tertiary education to my name, so I’m not able to understand the structures that you’ve put in place with your well-directed “energies”. I haven’t got any further than thinking that there are: old academies, opted-in academies and Govean you-must-be-academies-because-I-say-so academies. To which must be added the still-academies-even-though-they-failed-Ofsted academies. Perhaps at some point you’ll stand before us and let us know how this “improves children’s lives”. Fair enough, people might say. Children must be able to recognise numbers, eh? One problem: this letter went to parents of four-year-olds. Does telling these parents a) that their children have failed b) that four-year-olds should have numeracy targets c) that this is their target as opposed to the academy sponsor’s target, “improve children’s lives”? This is a point of arrival. You alone decide that a school will become an academy. This joins it to a system that cannot cater for all children. Through the league tables it enforces competition between schools, which results in teaching to the test. Teachers, parents and children are controlled by targets, with the ultimate result that large numbers of children are marked as failures. But where do these targets come from? Where is the theory and evidence to show that every four-year-old should have targets; should recognise numerals; or that demanding this “improves children’s lives”? No, I’ll rephrase that: where is the discussion about how four-year-olds learn that you and your department could start, as opposed to this kind of Gove-enforced, sponsor-directed instruction? An enlightening film that exposes the issues behind the DfE’s desperate drive to academise the English schools network. Worrying news in the Guardian today that Michael Gove, the Coalition’s Education Secretary is writing to Members of Parliament (mainly Labour) in constituencies where schools are. in his opinion failing, asserting that the only way to see improvements in the schools they represent is to support his policies. This is worrying for a number of reasons. Firstly, many educationalists would agree with our view that much of his thinking is based on political ideology rather than evidence based policy. Indeed, some of his policies are already shown to be failing in countries such as Sweden, once listed as one of his sources of inspiration and quietly dropped from his list in a speech at this year’s annual Conservative Party conference. Secondly, he appears to be trying to shift any blame for his policies’ failures onto opposition MPs who quite rightfully stand up for their constituents and reasonably speak out about issues with his department’s direction of travel. Finally, in a recent speech to a right-wing think-tank he basically admits that he is prepared to arbitrarily press ahead with his ideas regardless of anyone else’s opinions and any adverse consequences to rolling out untested education reforms. 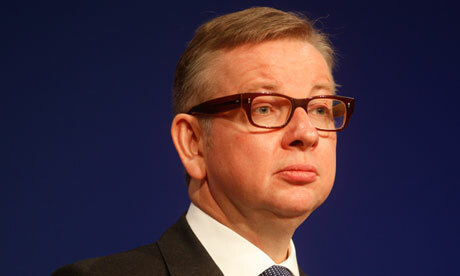 Michael Gove, the education secretary, is writing to all MPs in areas where schools are under-performing – mainly Labour-led inner-city schools – demanding they side with him to open up the education system “to the new providers who can raise standards”. 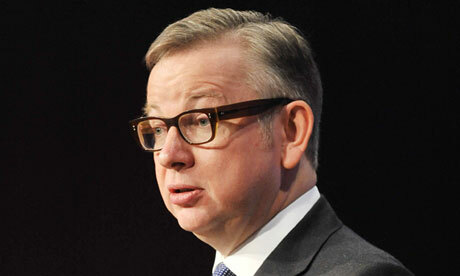 Gove has started his campaign against “the forces of conservatism” by writing to MPs in Leicester and Derby on Tuesday asking them whether they want to “keep the door closed to new solutions and stick rigidly to the status quo which is failing the children in their areas”. He asserts in “both of these areas, standards are far too low, with too many primaries which are judged by Ofsted to be unsatisfactory, or which have performed below national expectations for many years … 2012 results for 11-year-old pupils in each region are lower than the national average, lower than the average for the east Midlands region, far lower than pupils and parents have a right to expect”. 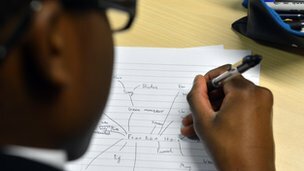 The initiative follows the decision of David Cameron to position himself as the champion of an “aspiration nation” in which excellence in education is central to economic recovery. The Conservatives are clearly also trying to expose divisions in Labour ranks on its approach to academies and free schools, as well as to pin responsibility on mainly Labour-run areas for delivering inadequate school standards. He said he was writing to MPs in areas of educational underperformance “outlining why we need to act and drawing attention to the failure, so far, of those in positions of power in local councils to move fast enough in improving our schools”. He urged MPs to recognise “they have a simple choice: stand with those in the academies and free schools movement who want to put children first, or stand with the adults who are blocking school improvement”. Gove tried to increase Labour discomfiture by lavishing praise on the role of Lord Adonis and Tony Blair in starting and championing the academies movement. Adonis holds a frontbench role in the Lords and is overseeing the party’s industrial policy review. 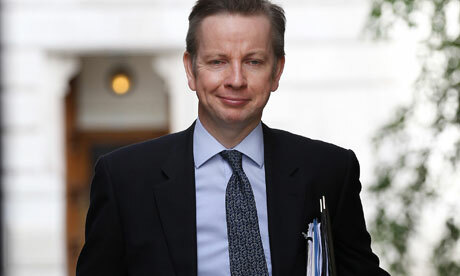 Gove also vented his frustration at the forces blocking progress inside the civil service and parliament, saying: “Far too often the Whitehall machine is risk-averse. Media commentary rarely allows early errors to be seen in context as experiments which will generate improvements. And the National Audit Office and public accounts committee, the most influential watchdogs in the country, are some of our fiercest forces of conservatism. “Time after time the NAO and PAC report in a way which treats any mistake in the implementation of any innovation as a scandalous waste of public money which prudent decision-making should have avoided. And yet at the same time it treats the faults of current provision as unalterable facts of nature – like the location of oceans and mountains – which should be accepted as the design of a benign providence. Gove also used the speech to mount an assault on Ed Miliband, saying it would be a category error to describe the Labour leader’s “one nation” speech as a shift to the centre. He said: “Blue Labour thinking – Ed Miliband’s thinking – is not then a continuation or refashioning of Blairism, it is a critique and rejection of Blairism. It was an explicit disavowal of the centrism practised under Tony Blair and a celebration of an older, more solidaristic socialism of the kind which would have found favour with Tony Crosland or even Tony Benn. “Where Tony Blair used his speeches to identify the forces of conservatism and declare war on them, Ed Miliband has used his speech to celebrate the forces of conservatism and declare he wants to become their leader. 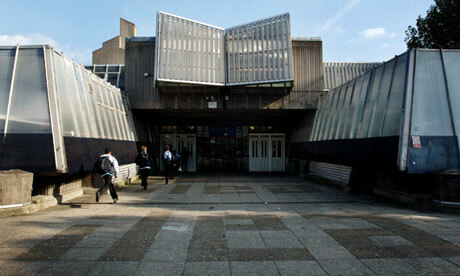 The education secretary also ridiculed Miliband’s portrayal of his secondary school, saying he presented “Haverstock secondary – Hampstead’s principal educational establishment – as though it were some sort of school of hard knocks, a nursery of social solidarity and home of class-consciousness to rank with Durham’s mines or Clydeside’s shipyards.